Hello guys, how is you recycling stuff going on? I hope this is going great. 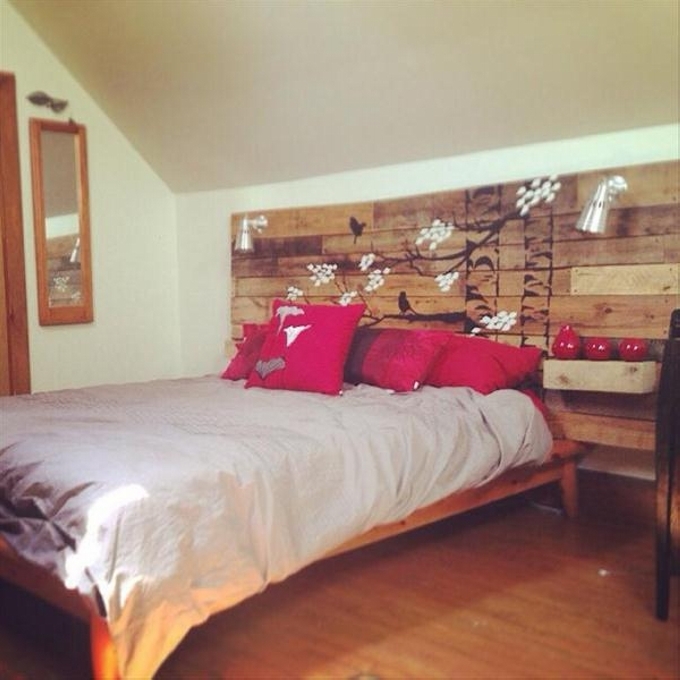 Let’s have a discussion on the wooden pallet recycled headboard. 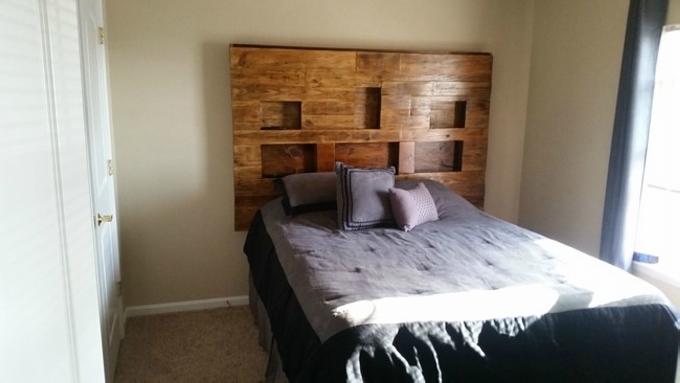 What are the prime purposes of a well built wooden headboard? Well, that is a decorative feature in the bed. Sometimes we also use it for some other reasons, this is also supposed to be a support in some cases. 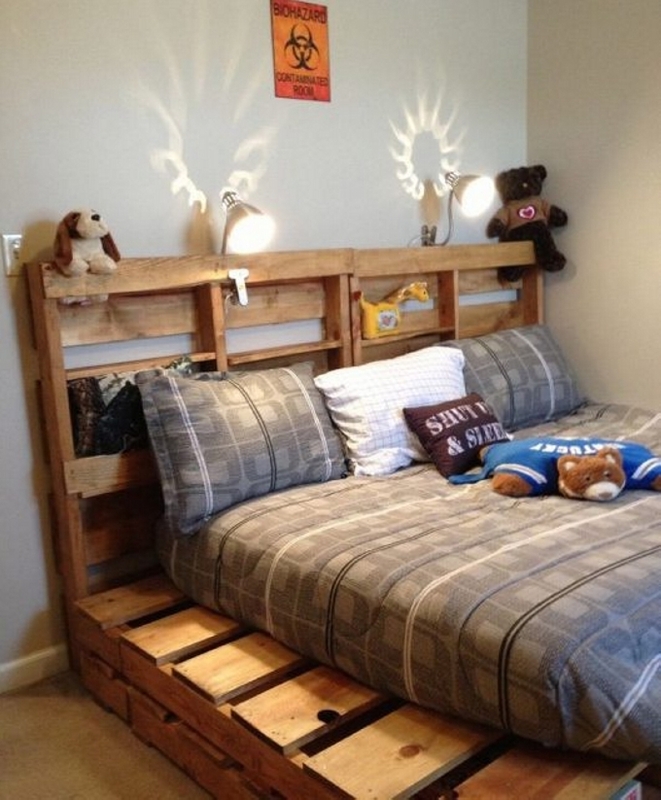 But how about the pallet bed headboard with shelves? Isn’t that a great feature to be explored? 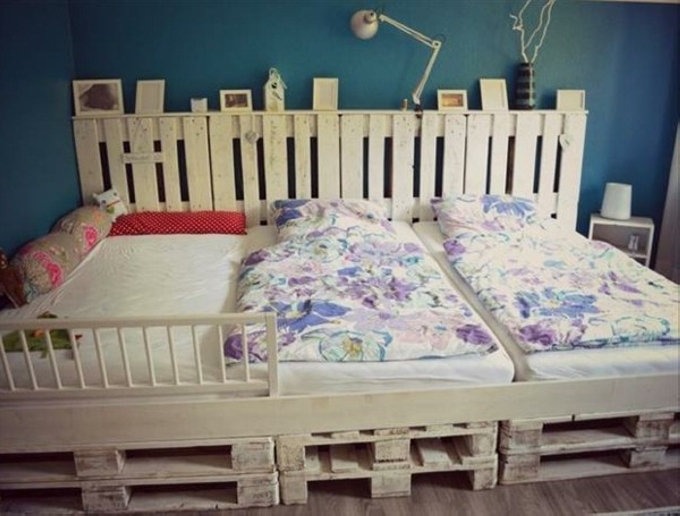 Not only would it add to the beauty of the bed, but would also provide us with some additional space where we can store a few things and can also display a couple of decoration pieces. 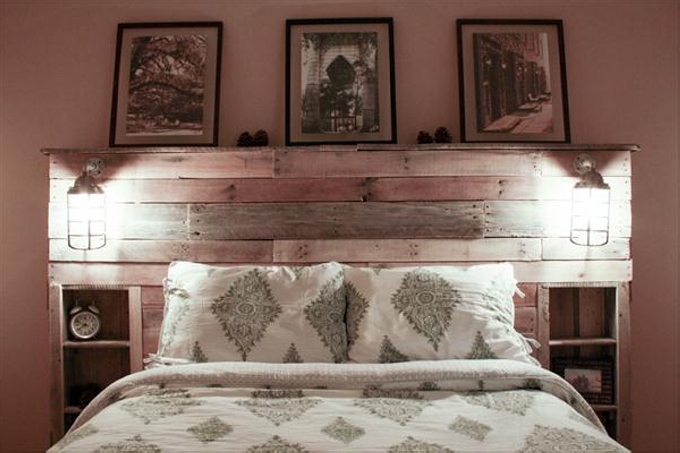 Let me begin with this vintage headboard recycled with the deteriorated shipping pallets. 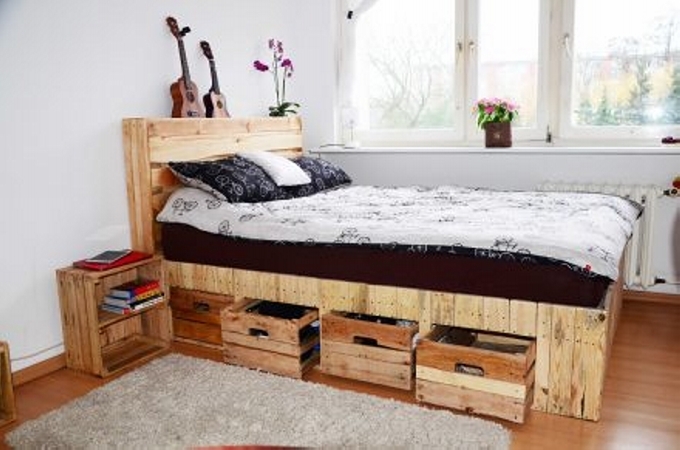 Despite of the bad condition of the pallet planks, it has added a lot of utility to the bed with its built in shelves that could be used as potential sockets. 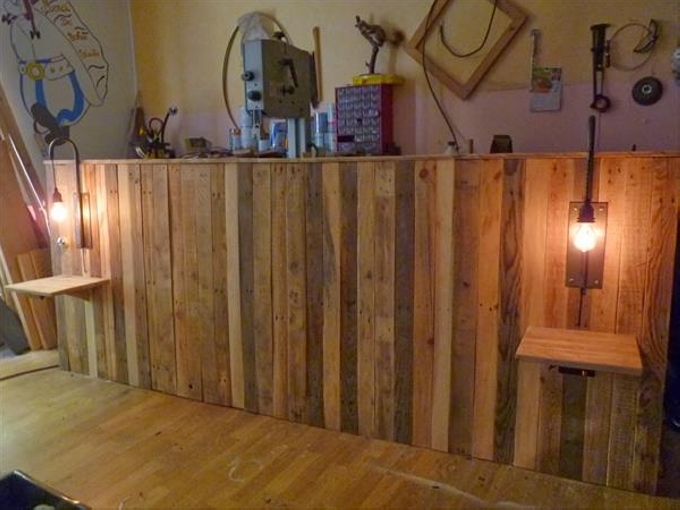 Even if you have the random pallet planks, you can still put them to some artistic use as we did here in this specific project. We added a couple of additional outward extended racks on the headboard where you can place a planter or may be a stuffed toy. 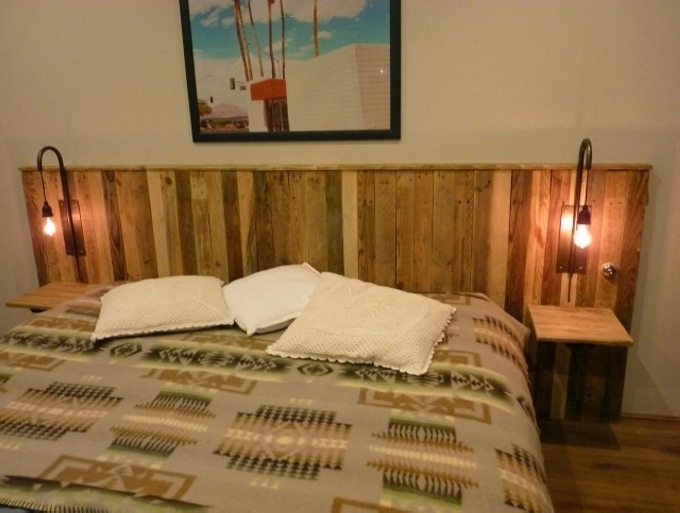 Just to make it more attractive and practical, this time we have decided to add the glass made slabs as shelves to the wooden pallet recycled headboards. Each glass rack would be used for a different room accessory whether it be a decoration piece, or tissue box. 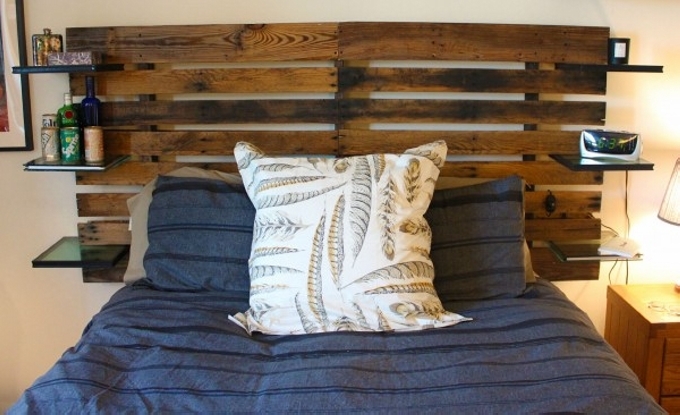 When you are more concerned with the decoration and beautification of your bed, this sort of vintage wooden pallet headboards could be turned into some ideal wooden installations. Just with some strokes of paint and a n additional wooden slab on both corners, this is a great artistic addition to your room. 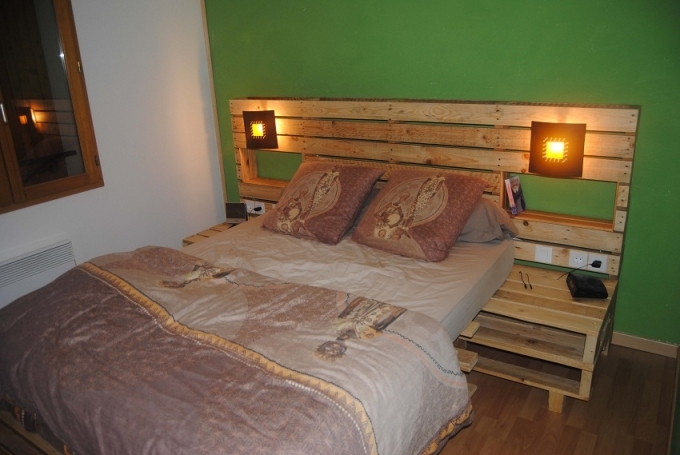 Making a headboard recycled with pallet board primarily serves two major purposes, firstly it is a decorative feature, and secondly it is about storage space. 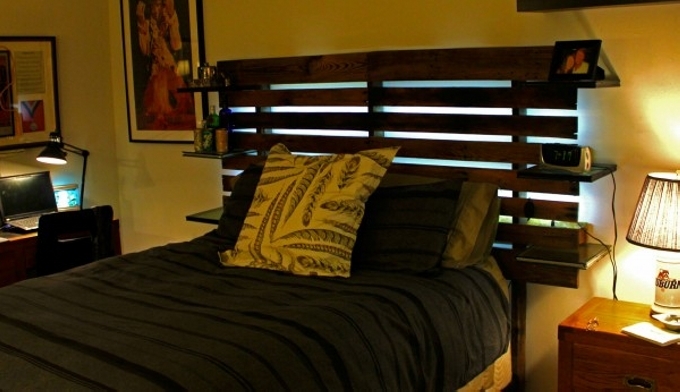 Place a few night time accessories that you might need in the middle of the night like a built in lights, a phone rack etc. 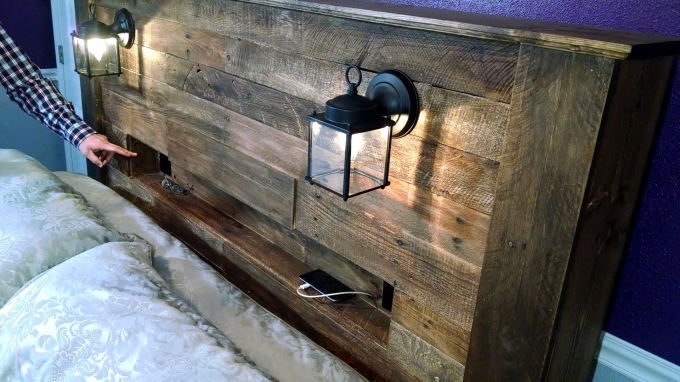 Making a headboard with shelves initially sounded like a crazy idea, but with the passage of time it really started working. This allowed us to keep our favorite decoration pieces around us while we were about to sleep. This was a great experience. 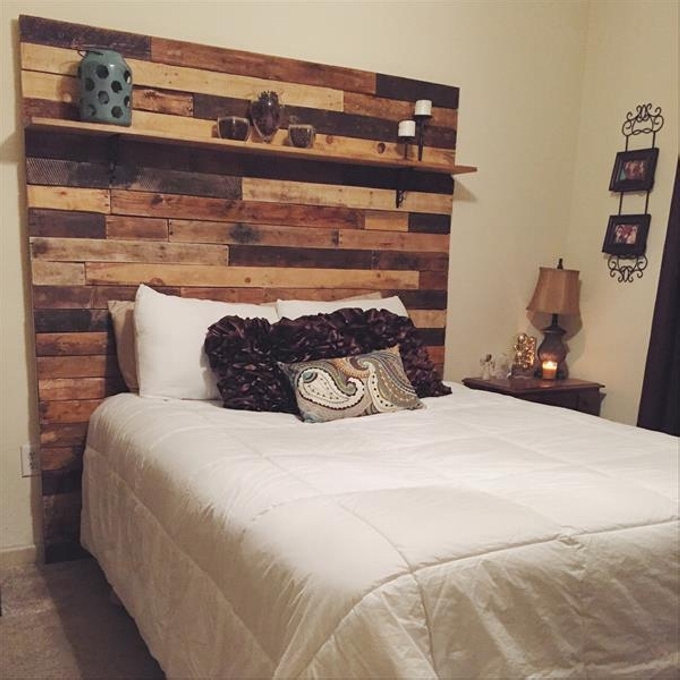 This is another vintage pallet wall art or pallet wood recycled headboard. 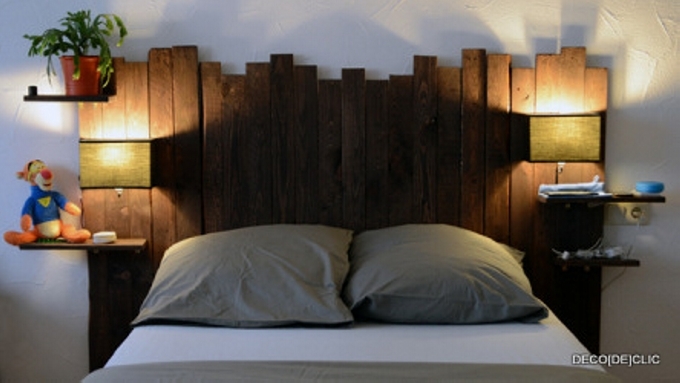 The headboard is so huge that it can be considered as pallet wood wall art idea as well. 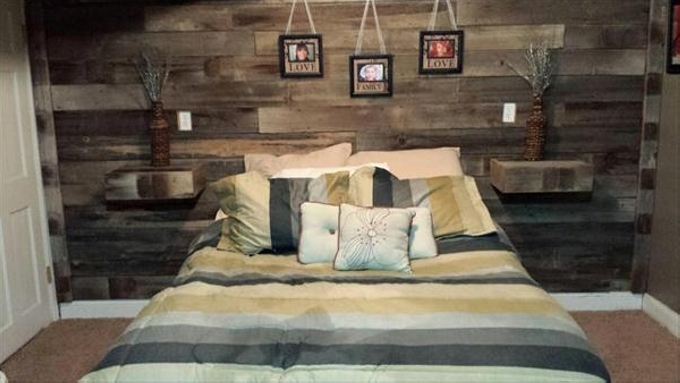 We just added a couple of built in shelves to make it a multi purposed feature of the room bed. 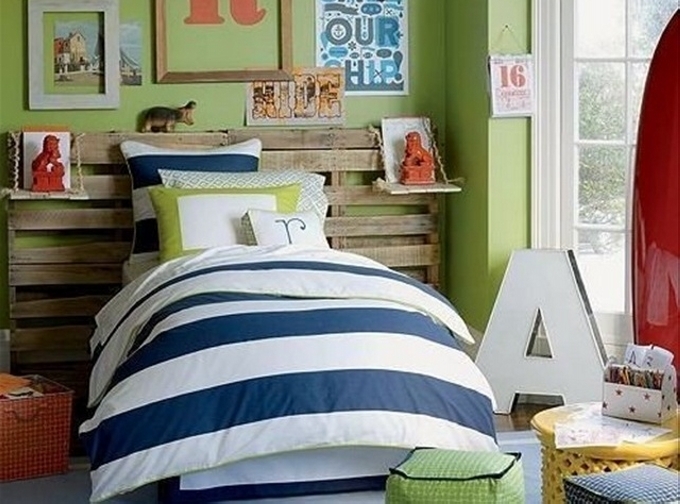 I think the proper side tables with bed have become a rotten and old fashioned idea. People are switching towards this changing trend. 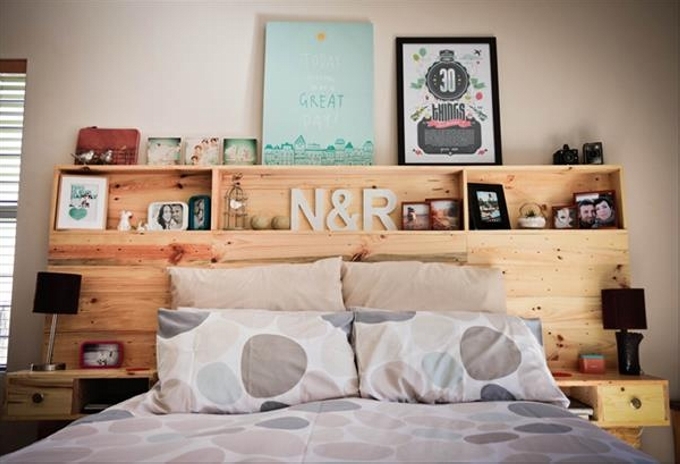 Just by fixing a couple of plain wooden slabs on both the corners, we succeeded in making a classic wooden pallet upcycled headboard with shelves.